American Pro Diving Center welcomes you to visit Crystal River Florida for a relaxing, quaint, small town that is the home of the manatee. Our town is best described as the gem of the nature coast. 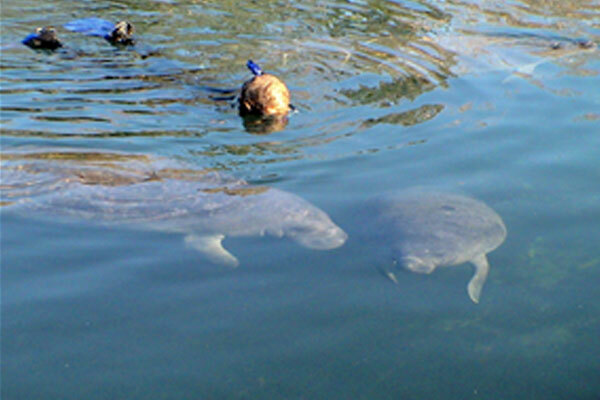 We have listed below some of the frequently asked questions about our Manatee Tours with their answers. For more information or to make reservations for snorkeling, diving, or lodging, please call 1-800-291-DIVE, or email our Contact Uslink. Can I touch a manatee? Touch ManateeYes, but only with one hand - no holding on or hugging. 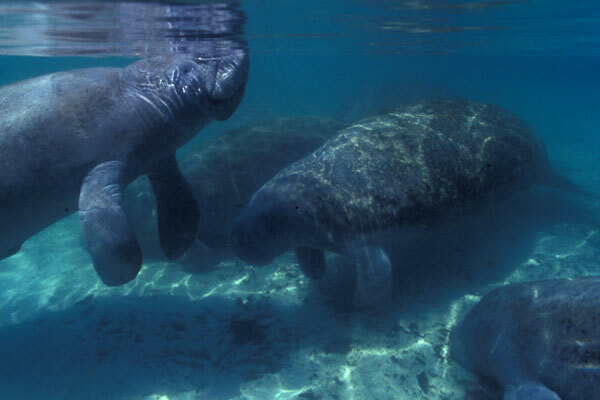 Manatees are an endangered species, and as such are protected by the U.S. Fish and Wildlife Service. 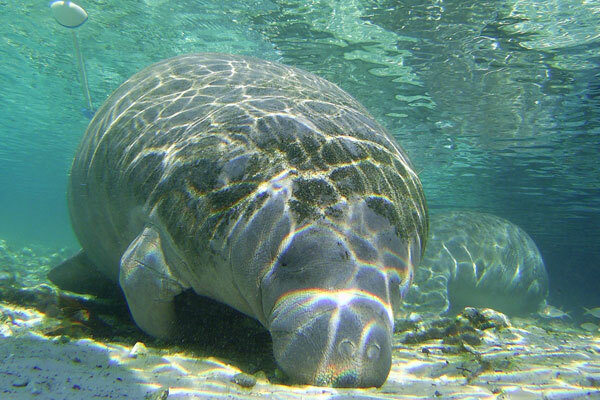 So we will ask you to abide by certain rules and regulations when encountering manatees. We do not want to harass them, so no chasing, poking, prodding, feeding, riding, or capturing a manatee. If you follow these rules, the manatee will be protected and your encounter will be one of the most memorable and enjoyable experiences of your life. Do I have to get in the water to see the manatees? No, boat riders or "bubble watchers" are welcome. You can see the manatees' noses when they come to the surface to breathe. You can even sometimes touch them from the boat! The best tour for boat riders is the Homosassa River. When is the best time to see manatees? best time to see manateeFor the last nine years we have had successful trips everyday, so all year round now. 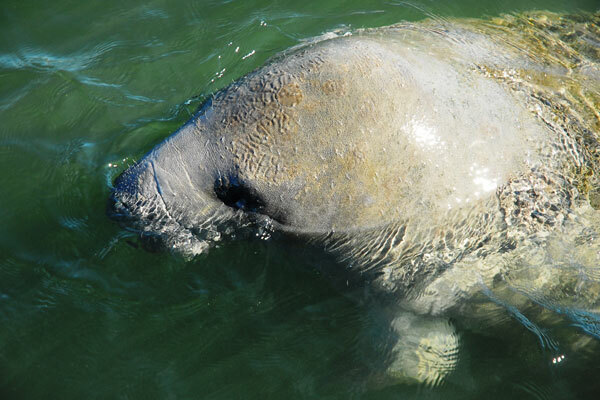 In the past November through April, was the only time of year when the manatee would stay in Crystal River. No matter what season we have a large number of resident manatees to see. 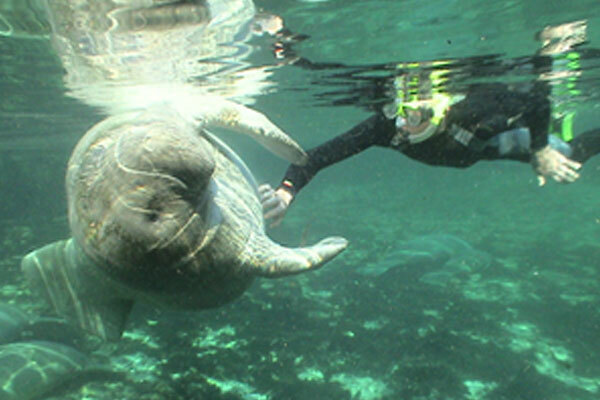 The key to a successful manatee tour is going with an experienced in water guide. Remember Tuesday through Thursday, early in the morning, is best because the rivers are less crowded with other boaters. We are very fortunate living in the nature coast because any thunder and lightening storms often only last fifteen minutes till the bad weather blows inland. The tours may only have to wait at the shop or at the marina for this short time till the weather clears. 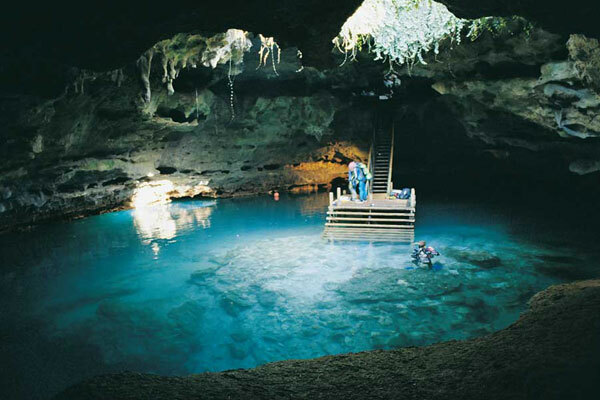 The spring water never has rough seas and stays the same temperature all year. 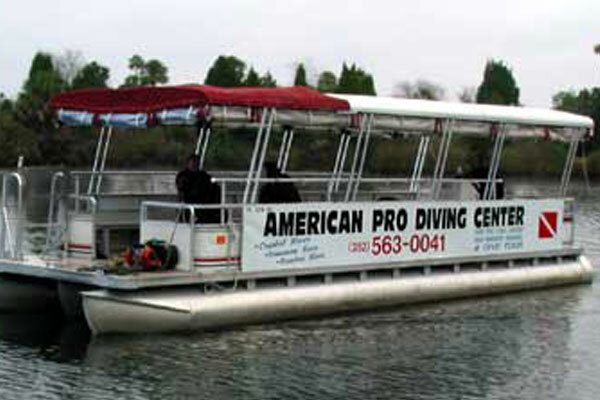 If it is raining our boats are covered and you are going to get wet as this is a snorkel adventure. The water visibility usually is never affected by rain and because the manatee tour is at the surface even with overcast days pictures still look great. Because the manatee tour is so early in the morning. Is there lodging nearby for the night before? Yes! Drive the day before your scheduled tour and stay the night at one of our 3 different lodging options. Holiday Inn Express, Bella Oasis, or The Last Resort. They are offering our customers discounted lodging rates please call us or email for rates. Check out our lodging page for more detail. Orlando - 1.5 hrs, Tampa - 1.2 to 1.5 hrs, Ft. Lauderdale/Miami - 4.5 hrs, Jacksonville - 2.5 hours, Ft. Meyers - 4 hours, Sarasota - 2.5 hours, St. Petersburg - 2 to 2.5hrs. manatee boat tourWe have nine U.S. Coast Guard certified vessels with maximum capacities that vary from 12 to 22 passengers. The maximum capacity number is only used if you are bringing a group. Groups are separated from our regular manatee tour times to meet the needs and time frames of the group. The regular tour usually has 2 to 8 or 10 on the boat giving the extra seating space for your comfort. Having the ability with nine vessels to separate out into smaller groups offers your family more time with the manatee. During the winter usually we limit the Homosassa tour to 2 pontoon boats for a more personalized tour. It is a small river, therefore fewer boats and fewer people equal the BEST encounter! Tuesday through Thursday are our slower days. What is the water temperature? Do I need a wetsuit? wetsuit needed in crystal riverThe water temperature is a constant 72degrees F (25 C). A 3mm or better full wetsuit is recommended because of the length of time you are in the water. After 1.0 - 1.5 hours, most people are chilled, but don't worry... we have hot chocolate to warm you up! And our boats are enclosed to keep the chill out. 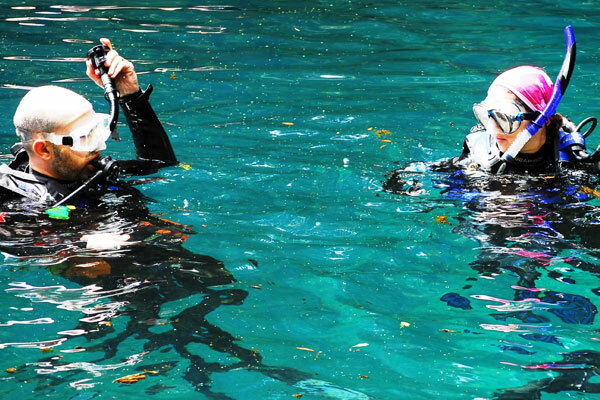 A wetsuit rental is included with our Homosassa tour. If you do not have a wetsuit we have wetsuits for rental. Anywhere from 3 feet to 20 feet deep. Every trip may be at a different location as the Crystal River offers five hundred acres of spring water. It all depends on where we find the manatees and remember we are snorkeling at the surface so just float. 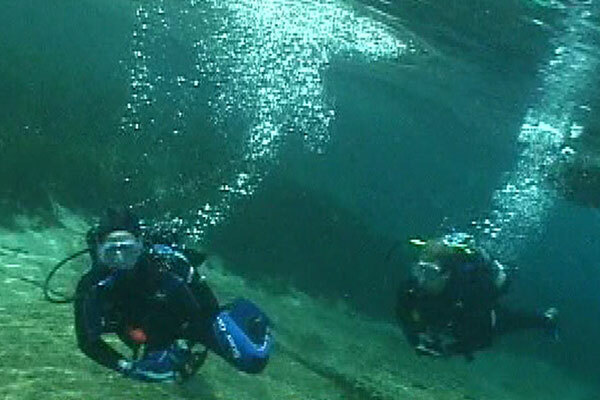 The Crystal River is generally a bit deeper, 5' - 20' and the Homosassa, is usually 3' - 7' deep. Most days you are in waist-high water on the Homosassa River. No, children to seniors of any age are welcome. There are no age limits, young to old! But you should be comfortable in the water. Remember, wearing a wetsuit not only keeps you warm but also helps to float. 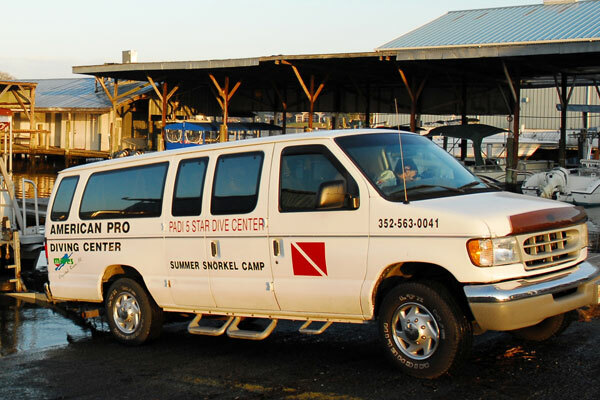 Don't forget an American Pro Diving Center guide is in the water to assisting with your snorkel needs. Can I take pictures of the manatees? YES!! Manatees love to have their pictures taken. They look like they are actually posing for you! 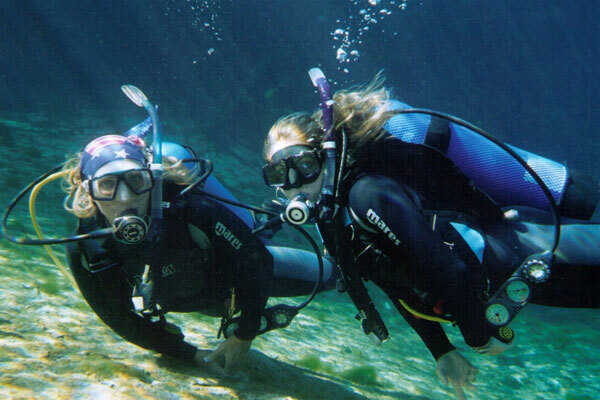 You may purchase an underwater disposable camera at our Dive Center. Don't forget our guide videos your encounter - so SMILE! You may view the video after your tour and a DVD copy is made available for purchase. 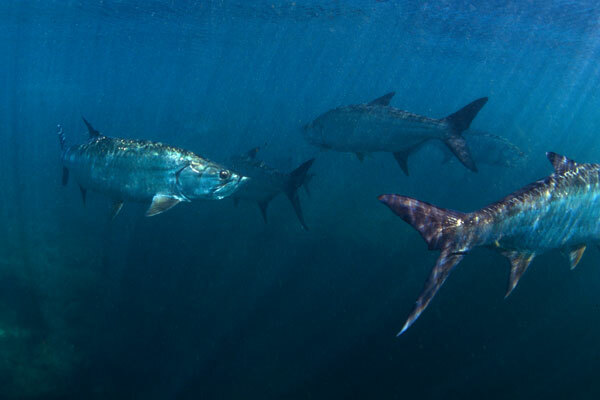 Which tour is the best - Crystal River or Homosassa River tour? We recommend trying both the Homosassa River Tour and the Crystal River especially if you are here on a weekend. Check out the discount snorkel or dive packages and the discount lodging pages to save some money too.